As was expected, Apple has just released iBooks app for iPhones iPod touches running the newly released iOS 4. This release basically makes iBooks a universal binary, which means that you can run the same app on both the iPhone and iPad. With iBooks now on the iPhone, you can download all your favorite books directly to your iPhone and iPod touch, and if you have already purchased a book on your iPad, you can download it again on your iPhone for free. This new version of iBooks for both iPhone and iPad also enables wireless syncing of notes and bookmarks between all your iOS devices capable of running the iBooks app. Official description from iTunes is as follows. 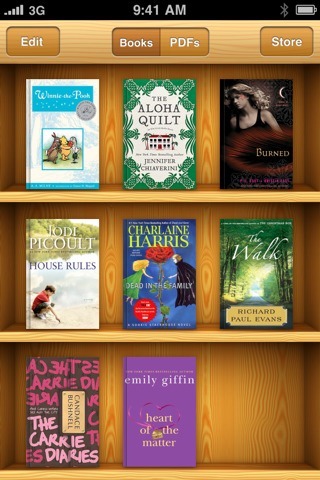 iBooks is an amazing way to download and read books, designed exclusively for iPad. iBooks includes the iBookstore, where you can download the latest best-selling books or your favorite classics – day or night. Browse your library on a beautiful bookshelf, tap a book to open it, flip through pages with a swipe or a tap, and bookmark your favorite passages. • Read a free sample of any book on the iBookstore before making it part of your collection. • Change the font size and pick from five included type faces to make your books more comfortable to read. • Highlight your favorite passages with the built-in bookmarking feature. • Add books in the industry-standard ePub electronic book format to iTunes and sync them to iPad. • iBooks supports amazing accessibility features in iPad, such as speaking the words on a given page. • You must own an iPad to use iBooks. • The iBookstore is only available to customers in the United States. • An iTunes Store account is required to download from the iBookstore. • iBooks only supports books published in the ePub electronic book format. • To add ePub documents from outside the iBookstore to iBooks, they must be DRM-free and synced to iPad using iTunes 9.1 or later. iBooks for iPhone (iOS 4 only), iPad and iPod touch (iOS 4 only) is available for free on the iTunes App Store. You can download it via the link given below. Please don't call it a universal binary – or at least leave out “binary.” “Universal Binary” refers to being able to run on multiple architectures. Last time I checked, ARM and A4 are the same 'tecture. Call it just plain “universal” instead. It has Nothing to do with the binary. “You must own an iPad to use iBooks.” <whimper> I'm just plain confused here. Will someone explain? Are these old release notes or something? 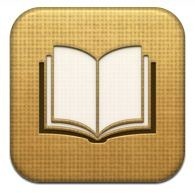 iBooks supports syncing of DRM-free EPUB content directly to the iPad thru iTunes. lol…ifunia iphone column list iBooks as the second features of ios 4 on the opinion of customers. Doesn't work on iPhone 2G. FAIL! i think there are problems with iOS4 Jailbreaked Devices… it isn't possible to sync or buy books to iBooks application.